When you are craving Cinnamon Rolls but no time to bloom, ferment and proof the yeast variety, this will hit the spot! Softened butter in microwave for 10 seconds; set aside. In large bowl whisk together flour, sugar, baking powder, salt and cinnamon. Using a pastry blender, two knives or rubbing together with hands, cut in cold, cubed butter into flour mixture until it resembles coarse crumbs. Using a fork, gently stir in milk and vanilla, to make a soft dough. Turn out onto floured surface and gently knead 10 – 15 times; let rest for 10 minutes. On floured surface, gently roll dough out into a 15″x9″ rectangle. Carefully spread softened butter all over the surface of dough, leaving a 1/4″ border; sprinkle with brown sugar/cinnamon mixture. Beginning with 15″ side, roll up dough, pinch the long edge to seal. With a sharp knife cut into 12 equal pieces. Place rolls into prepared pan and bake in preheated 375F oven for 20 – 25 minutes, rotating pan halfway through baking time. When golden brown, remove from oven and cool, in pan, on wire rack. In medium mixing bowl combine softened cream cheese and butter until no lumps remain. Stir in 1 cup of powdered sugar, vanilla and 1 tablespoon of milk; stir until smooth. Add another cup of powdered sugar and stir – adding a splash or two of milk, to right consistency. 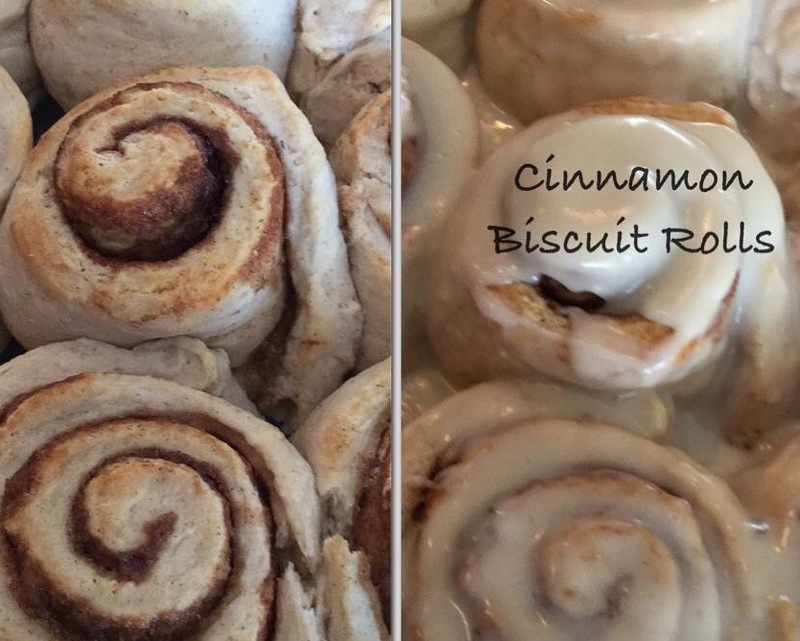 Stir until smooth; spread over slightly cooled Cinnamon Roll Biscuits.